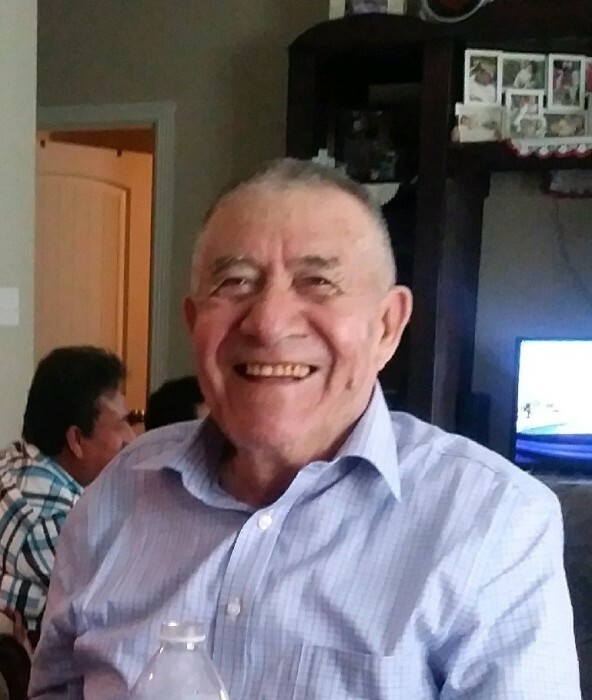 Luis Ramirez, 81, of Bryan passed away Sunday, November 11, 2018. Funeral Services are set for 9AM Saturday, November 17 in the Santa Teresa Catholic Church with burial to follow in Mexico at a later date. Visitation will be from 5-8PM Friday November 16 with a 6PM Rosary in the Chapel of Trevino-Smith Funeral Home. Born June 21, 1937 in Mexico, he was the son of Anastacio and Maria de Jesus (Camacho) Ramirez. Luis loved to sing, and tell jokes he was a big kid at heart. He was a loving husband, father, and grandfather and will be missed by all who knew him. He is preceded in death by his parents; three brothers; three sisters, and his late wife Teresa Sanchez Mata. Luis leaves behind to cherish his memories, his loving wife of twelve years Modesta Ramirez; five sons, Humberto and wife Anna Ramirez, Martin and wife Alma Ramirez, Juan and wife Isabel Ramirez, Jose and wife Nilsa Ramirez, and George and Claudia Ramirez; seven daughters, Lucia and husband Efrain Luna, Mercedes and husband Jose Crespo, Isabel and husband Gregorio Ramirez, Felicitas and husband Jose Loredo, Rita Ramirez, Maria de Jesus and Carlos Castro, and Blanca Ramirez; thirty-nine grandchildren and thirteen great-grandchildren.